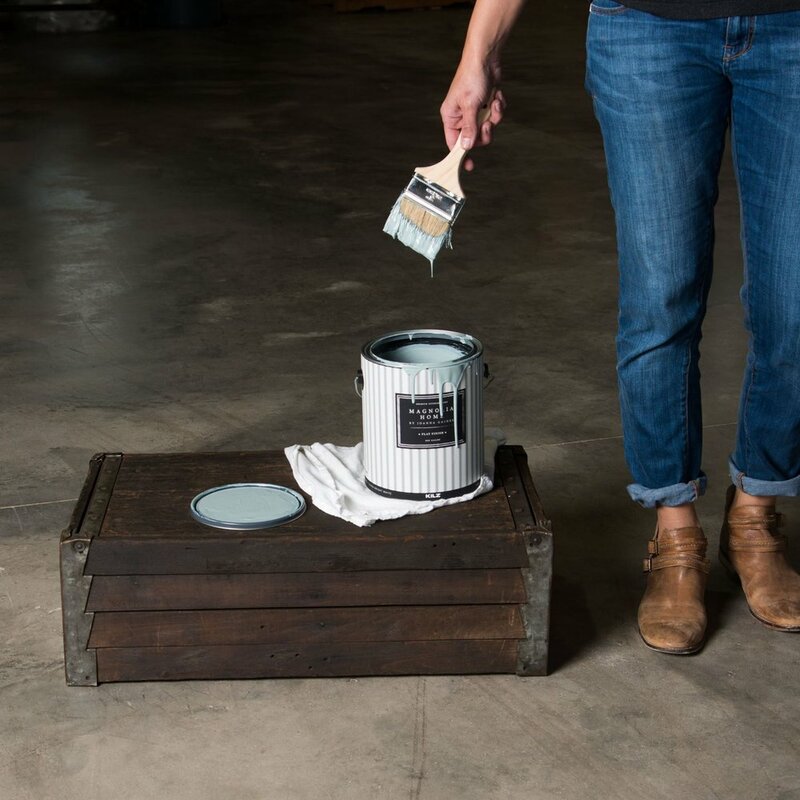 We are very excited to announce that we are going to be selling the Magnolia Home paint line! 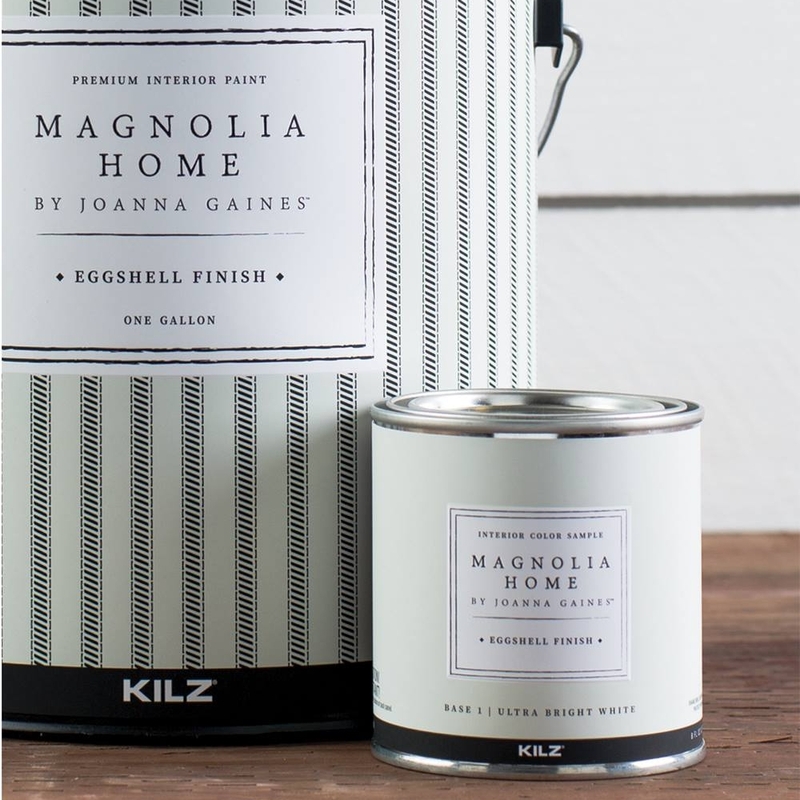 Magnolia Home is a partnership between KILZ paint and Fixer Upper's Joanna Gaines. 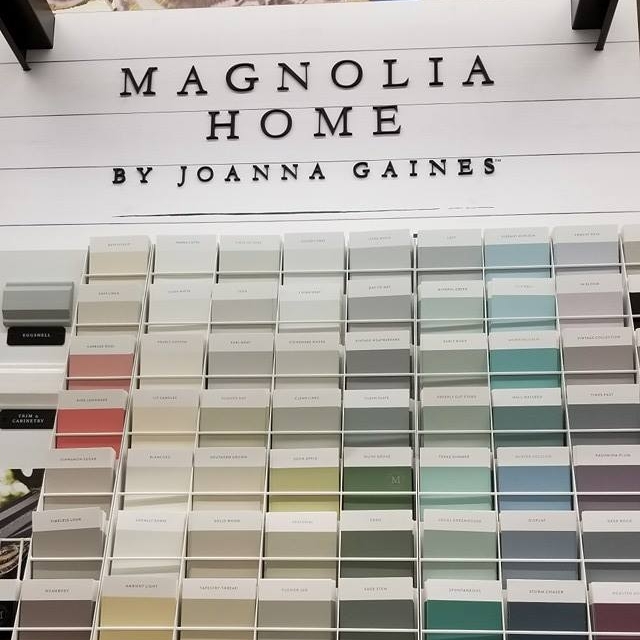 Gaines crafted 150 beautiful colors that are designed to help you turn your house into your dream home. These paint colors all pair together nicely so that it is easy to coordinate your vision and create classic looks. This premium paint combines paint and primer so that it is easy to apply and has a durability that will last. These colors are available in Magnolia Home's premium MATTE, EGGSHELL, and SATIN. The matte and satin paint comes in gallons and quarts, and the eggshell comes in gallons, quarts, and half pints. Trim and cabinet semi gloss is available in gallons and quarts.